Ash and Pikachu arrive in the Alola region with his mom to discover new Pokemon and new Alolan forms. Satoshi enrolls in Pokémon school to learn about them. The night before Satoshi's mother returns to Kanto, Tapu Koko appears and gives Satoshi a Z-Ring. Having arrived at his new Pokémon school, Professor Kukui who is the teacher and its students host a surprise welcome party for Ash. Soon after, the guardian Pokémon, Tapu Koko, pays another visit to Ash to battle Pikachu. Tapu Koko teaches Ash how to use the Z-Ring. Ash and Pikachu manage to unleash the Z-Move, Gigavolt Havoc, but the Z crystal is soon shattered after Pikachu's immense release of power. In order to regain the power of Z-moves, Ash decides to go through the island trials. Professor Kukui gives Satoshi an intelligent Rotom Pokédex that is capable of human speech. Satoshi goes to find and catch his first Pokémon in Alola, but he instead encounters Rocket-Dan, who are aided by a wild Mimikkyu that despises Pikachu. Satoshi helps Suiren train her Ashimari to blow a water balloon large enough to enable undersea travel for people. During a school fishing trip, the class's Ride Pokémon are stolen by Rocket-Dan. However, Ashimari manages to blow a massive balloon to save all the Ride Pokémon from falling on the rocks. Satoshi and Mamane are separated from their Pokémon during a visit to the local shopping mall. Satoshi decides and fails to catch a stray Nyabby that continues to give him trouble. Satoshi's class is assigned to look after a newly discovered Pokémon egg. When the class deliberates who will bring the egg home for the night, Lillie agrees to take care of the egg in order to overcome her fear of handling Pokémon. Satoshi meets Hala, the Kahuna of Melemele Island, who created his Z-Ring. As part of Satoshi's first island trial challenge, Hala tasks him with finding a solution to an infestation of Koratta and Ratta without fighting them. By his friends' suggestion, Satoshi decides to recruit the local Yangoos and Dekagoos. However, Satoshi must defeat their leader in battle in order to earn their cooperation. The time has come for Satoshi to confront Hala to win his first island Grand Trial challenge in Alola using the Z-Crystal he obtained from the Totem Dekagoos. Satoshi and Pikachu visit Kaki's family on the Akala Island, where they run a dairy farm. Skull-Dan interferes when Satoshi and Kaki are on their way for a special delivery. Professor Kukui takes Satoshi and the other students for a special lesson at the beach, where they come across a bunch of Hidoides. 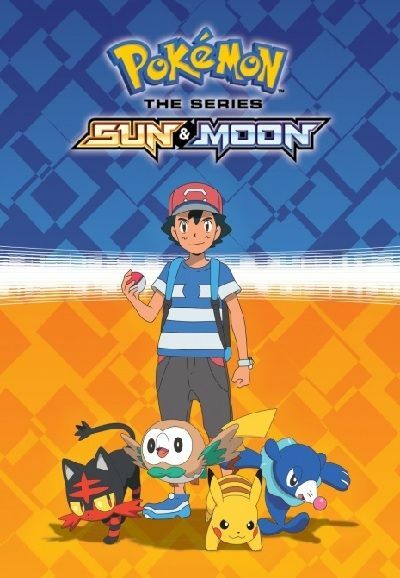 One Hidoide causes trouble for Satoshi and his Pokémon when it decides to help Rocket-Dan, who are under pressure from their boss to catch new Pokémon in the Alola region. Mao informs and asks Satoshi to join in the Great Alola Pancake Race. Satoshi agrees and finds his main rival to be the Pancake shop owner herself, having an Alolan Raichu. During the race, Team Rocket unveils a mechanical Kiterguma, only to have it destroyed and them carried off by the real Kiterguma. The island Kahuna's Nekkoala win the race at the last second. Lillie's egg also hatches revealing a Alolan Vulpix. Citron and the others arrive at the Kalos Power Plant and discover Team Rocket to be manipulating the electric Pokémon in the area. After putting a stop to their schemes, Citron decides to go on ahead of the others and prepare for the upcoming battle with Satoshi in Miare City. Musashi and Sonansu are separated from Kojiro and Nyarth after being sent flying from the power plant. A passer-by then saves Musashi from drowning in a river and she seems fall in love with her rescuer. While visiting an observatory run by Māmane's cousin, the classmates run into a new Pokémon, Meteno, that makes a connection with Satoshi's Bevenom.